the VISIT PHILADELPHIA® annual report demonstrates the importance of the region’s travel and tourism industry, responsible for $10.4 billion in economic impact in 2014 alone. The report is downloadable at visitphilly.com/annualreport. 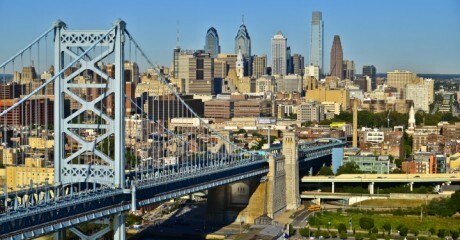 Greater Philadelphia welcomed a record 39.7 million day and overnight visitors. o Generated $10.4 billion in economic impact—or $28.6 million every day. o Supported 92,000 full-time jobs. o Generated $655 million in state and local taxes. That’s money that then supports priority programs such as schools and sanitation. Of the region’s 39.7 million visitors, 34.9 million (88%) were here for a leisure purpose. Leisure is a major driver of hotel occupancy. Of the 3.1 million hotel room nights occupied in Center City Philadelphia, 30.7% were leisure stays. o That’s 948,000 leisure room nights—up 273% since 1997 when VISIT PHILADELPHIA began marketing the region as a leisure destination. Philly’s Saturday hotel occupancy (88.2%) is second only to New York City (90.4%) among major northeast cities, includingBoston, Baltimore and Washington, DC. o 34% of all hotel room nights were booked by leisure travelers. o 20% of all weekday hotel room nights were booked by leisure travelers. VISIT PHILADELPHIA’s annual report and its eighth annual Hospitality Leaders Luncheon were supported in part by a generous sponsorship from PNC. VISIT PHILADELPHIA® makes Philadelphia and The Countryside® a premier destination through marketing and image building that increases the number of visitors, the number of nights they stay and the number of things they do in the five-county area.